The material could be grafted onto prosthetic limbs to restore temperature sensing in amputees. It could also be applied to first-aid bandages to alert health professionals of a temperature increase—a sign of infection—in wounds. The new material can be as little as 20 micrometers thick, and is both transparent and flexible. 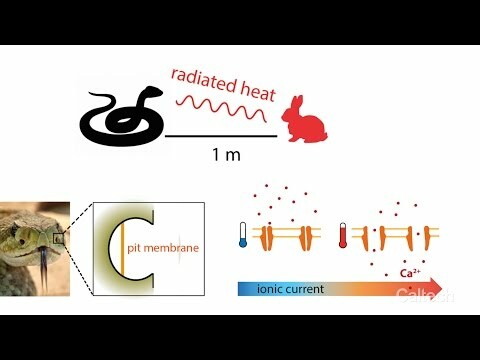 Credit: Caltech Chiara Daraio, professor of mechanical engineering and applied physics in the Division of Engineering and Applied Science, explains how the new temperature-sensitive artificial skin works. The new material can be as little as 20 micrometers thick, and is both transparent and flexible.